At the recent Ubisoft Developer Conference in Montreal, the French gaming company unveiled a new AI assistant for its developers. Dubbed Commit Assistant, the goal of the AI system is to catch bugs before they're ever committed into code, saving developers time and reducing the number of flaws that make it into a game before release. “I think like many good ideas, it's like ‘how come we didn't think about that before? 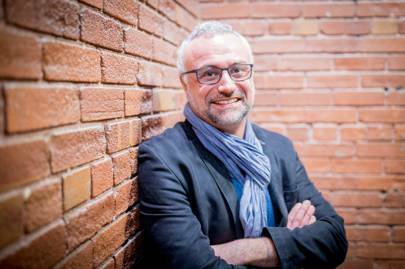 ',” says Yves Jacquier, who heads up La Forge, Ubisoft's R&D division in Montreal. His department partners with local universities including McGill and Concordia to collaborate on research intended to advance the field of artificial intelligence as a whole, not just within the industry. La Forge fed Commit Assistant with roughly ten years' worth of code from across Ubisoft's software library, allowing it to learn where mistakes have historically been made, reference any corrections that were applied, and predict when a coder may be about to write a similar bug. “It's all about comparing the lines of code we've created in the past, the bugs that were created in them, and the bugs that were corrected, and finding a way to make links [between them] to provide us with a super-AI for programmers,” explains Jacquier. 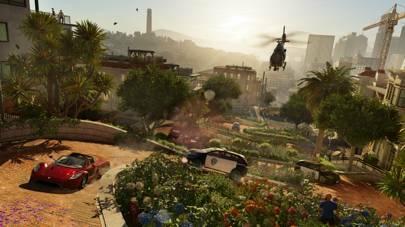 It's still early days – Ubisoft is “only starting to pollinate” Commit Assistant to its development teams and, so far, there's no usage data on how much it's impacting game creation. There's also the human factor to account for: Will developers want an AI poking through their code and effectively saying “you're doing it wrong”? But improving AI in gaming could help solve some of these real-world problems. Olivier Delalleau, an AI programmer at Ubisoft, spoke at UDC about autonomous driving in Watch Dogs 2. Using an example of a non-player-controlled car driving around the game's virtual San Francisco, Delalleau showed how, initially, it would more often careen out of control when taking corners. The car was programmed with the goal of reaching a destination or looping the streets, providing visual flavour to the game world. Delalleau used reinforcement learning, a form of machine learning, to help the AI learn this skill. Ubisoft provided thousands of examples of braking when driving, and the system learned that it could achieve its goals more efficiently by following the rules of the digital road. The outcome was that the AI cars began taking corners more slowly. This made Watch Dogs 2's representation of San Francisco more realistic and reduced random crashes. Other areas in which Ubisoft is using AI include non-player characters (NPCs). 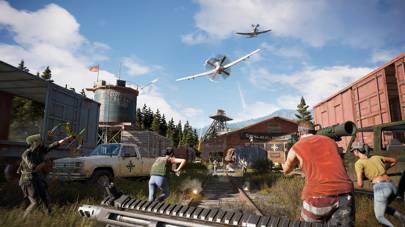 In the upcoming Far Cry 5, Ubisoft has implemented a virtualised version of Maslow's hierarchy of needs – the psychological theory of motivating factors for human behaviour – for NPC characters. This gives in-game agents motivations for their actions, and is modeled largely on the self-preservation strata of Maslow's pyramid. When a player encounters a non-player character in Far Cry 5, two systems are at work: trust and morale. If you raise your weapon at someone you've never met before, they will react with distrust or fear, warning you to lower your gun. If the NPC recognises a lingering threat from you, it will launch an attack of its own, fearing for its own ‘life'. When facing a group of enemies, as you pick off members of a gang, individual foes may realise they're outclassed and lose their thirst for combat, and attempt to flee as they sees their ‘friends' taken out. Elsewhere, animal companions will respond to player activity, cowing close to the ground unprompted when you crouch into stealth, for instance. It's the sort of work that adds depth and realism to the world. In future, tools such as Commit Assistant could spread beyond the confines of Ubisoft. La Forge developed the AI in conjunction with the University of Concordia and published academic papers on how it works. “If someone else wants to implement this kind of method, it's totally possible to do that by getting those articles, which are public,” says Jacquier. The system wouldn't be of use to all developers though. It very much thrives in a ‘big data' environment with near countless examples of what not to do to feed it as a guide. That restriction, for now, renders it uniquely beneficial to big-budget studios. But if Ubisoft's artificial baby matures as is expected, the pay-off for players could be significant – it could mean fewer release dates are pushed back for bug fixes and fewer bugs end up in the finished product. Meanwhile, it could free developers to focus their attentions on improving other aspects of the game. Perhaps best of all, if everything goes according to plan, you'll never even notice.